ITIL is the most widely adopted approach for IT Service Management in the world. It provides a practical framework for identifying, planning, delivering and supporting IT services to the business. ITIL Foundation is the first level of ITIL Certification for IT professionals and employees wishing to excel in IT Service Management. This Online Training Course on Information Technology Infrastructure Library or ITIL Foundation Certification is delivered by Moulik IT Services LLP, an Authorized Training Organization (ATO) for ITIL Certification. 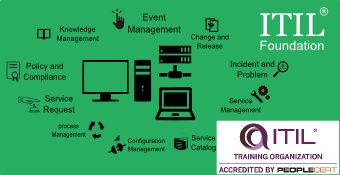 ITIL is the most widely adopted approach for IT Service Management in the world. It provides a practical framework for identifying, planning, delivering and supporting IT services to the business. 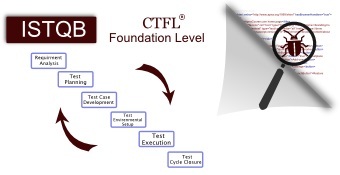 ITIL Foundation is the first level of ITIL Certification and is the most recognized skill and certification for IT professionals and employees wishing to excel in IT Service Management. Organizations adopt, adapt and implement ITIL to gain better results and enhanced performance. The course fee is inclusive of the exam fee. If you are an IT professional, business manager or business process owner in an organization that operates according to ITIL or you intend to deploy ITIL in your organization. Course was really helpful, timely calls to remind about booking exam dates, giving exams were there, also material provided specially question bank helped to cope up with last minute revisions. Great online training, I was able to pass the exam! 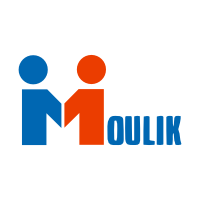 Moulik IT Services LLP is an IT Services Company focused on delivering high quality services to its valued customers by understanding customer needs and delivering value for money. Mr. Alkesh Mishra is a PeopleCert, APMG and PECB accredited Trainer with over 19 years experience in IT infrastructure service delivery, operations management, remote project/program management and consulting. He has trained over 1500+ professionals in the past 8 years from companies like Indian Navy and Air force, Ministry of finance (Nepal), SAARC, Nepal Bank, UNDP, Wipro, Pepsi, HP, Infosys, Genpact, IBM, Bank of America, Deloitte, JPMC to name a few. He has extensive experience in preparing courseware for ITIL, Cloud Computing, CoBit 5, IT Service Management, Infor-mation Security and many other trainings. His working experience includes some of the global leading companies in domains like Insurance (Norwich Union-Aviva, Europe), Telecom (Sprint PCS, Motorola, USA), Chemical (Lyndell Basell, Europe), Mining (BHP Billiton), Banking (Bank of America, IndyMac Bank, USA), Yahoo, Paypal, AOL, GE and HP, Wipro Technologies, IBM and Computer Sciences Corporation. Holds expertise in delivery of large-scale end user computing business change programs having significant impact on business operations.